Muttenz, October 23, 2013 – Clariant, a world leader in specialty chemicals, proved that it is possible to combine creativity with enhanced protection and processing performance for healthcare applications with its sector-dedicated MEVOPUR® polymer and packaging solutions at K 2013. MEVOPUR color and performance additives are produced at three ISO 13485 certified and dedicated production facilities located in USA, Europe and Asia to ensure ‘Controlled, Consistent and Compliant’ innovations for the industry. Clariant’s USP/ISO pre-evaluated raw materials help meet regulatory needs and support the creation of attractive pharmaceutical packaging, better functioning devices, and greater production efficiency. Highlights demonstrating these attributes during the K Show included laser marking and welding additives for faster and reliable processing without solvent residues. Examples of a new concept for extrusion blow molded (EBM) pharmaceutical bottles featuring trend-inspired colors from ColorForward™ 2013 and 2014 were unveiled for the first time at K 2013, demonstrating how regulatory concerns do not have to be a barrier to developing attractive colors for pharmaceutical packaging. 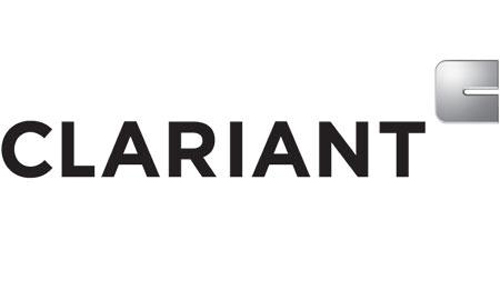 Clariant’s ColorWorks design centers have for many years been at the leading edge of creating tools that help to add to designers’ ideas, shortening the time to market, in colors that are practical to process in plastics. In addition, each year the ColorForward tool is published; a dedicated color forecasting guide in the plastics industry that appeals to people’s emotions and psychology. Under the theme ‘If We Help Control You Can be Creative’, Clariant brings together the skills and knowledge of the global ColorWorks and the dedicated Medical and Pharmaceutical teams. The biological evaluations using protocols USP23 parts 87, 88 and ISO10993-1, carried out on raw materials used for the MEVOPUR product range means colors can be selected already anticipating the regulatory and change control needs. Pre-tested colors also help reduce the risk of extractables and leachables. On show at K were concepts demonstrating single layer EBM bottles and also dual layer with external color and a standard pharmaceutical white inner layer. MEVOPUR performance materials protecting and enhancing healthcare products include: non-migratory additives to reduce friction and actuation in closures, drug delivery devices and catheters; sorbitol-free clarity enhancers for polypropylene (PP); additives can help to protect against polymer property degradation and color shifts during gamma and e-beam sterilization; and preservative-free solutions can help to reduce transmission of bacteria in devices. In addition to the processing enhancements offered by laser marking and welding additives, processors can take advantage of MEVOPUR nucleation technology for polyolefins to reduce costs by shortening cycle times and material content, and Clariant will show results of internal studies on EBM bottles. In the study, wall-sections were reduced by up to 12% with no reduction in bottle strength demonstrated by top loading tests. Additional benefits of the technology can be demonstrated to improve ovality and shrinkage control for better end-product quality.